The new London City Concours will bring together some of the most extreme and focused cars ever to hit the road – those directly derived from Le Mans-winning racers. Chief among them is the Jaguar XJR-15, which was developed from the XJR-9 racing car that won the 24 Hours of Le Mans in 1988. Featuring a carbon fibre tub and a 450hp 6.0-litre naturally-aspirated V12 engine bolted directly to it, the changes compared to the Le Mans champion are minimal. The Jaguar XJR-9’s suspension was transferred almost exactly into the XJR-15, featuring state-of-the-art fabricated wishbones and horizontal pushrod-spring dampers at the front. The stripped down road car features a cabin finished in bare carbon fibre, complete with deep bucket seats and harnesses – altogether, the XJR-15 weighs just 1050kg. 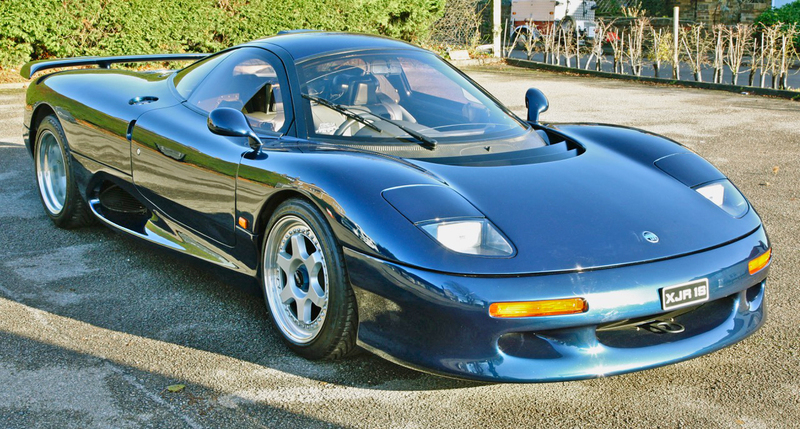 But its focus on performance rather than comfort pays off; the XJR-15 is capable of hitting 215mph and can accelerate to 60mph in less than four seconds. A great deal of that straight-line performance can be attributed to the car’s beautiful aerodynamic body, which was penned by Peter Stevens, also responsible for the McLaren F1. Another Le Mans champion-derived roadcar, the Porsche 911 GT1 Straßenversion, or ‘Street Version’ will also be at the City Concours. In order to race, 25 cars were homologated for the road, with a body almost identical to the racing version that won at Le Mans in 1998, but an interior featuring a few creature comforts like a cassette player and air-conditioning. Underneath the carbon fibre bodyshell is a 3.2-litre flat-six twin-turbocharged engine with 550hp and slightly softer independent double wishbone suspension compared with the racing car. With such a limited production run, the GT1 remains one of the rarest Porsches ever made. Both of these incredible Le Mans-winning racers for the road will sit among more than 150 of the rarest cars in the world at the City Concours, from 8-9 June. The event takes place in the Honourable Artillery Company grounds, near to the Barbican and Bank.